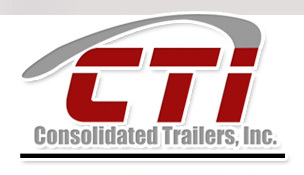 Consolidated Trailers, Inc. has been providing semi-trailer equipment, replacement parts and repair services in the Baltimore-Washington and Eastern Shore of Maryland since 1990. Established originally as a company that distributed replacement chassis parts to the Port of Baltimore repair entities, CTI became a Maryland Motor Vehicle Dealer in 1993 and began to expand operations and drastically increase our product line. Since that time, we have become the representatives for several key equipment manufacturers leading to our Great Dane dealership in 1995. We sell a wide range of New Semi-Trailers including Small Cargo Vans, Platform Trailers, Refrigerated Trailers and DryFreight Vans. Specializing in Government and Military sales, we are in a unique position as a small, agile company to move very quickly through the RFQ process. Using the combined experience of our staff and manufacturers, CTI maintains a remarkable record for reliability and customer satisfaction that is unmatched in the industry.